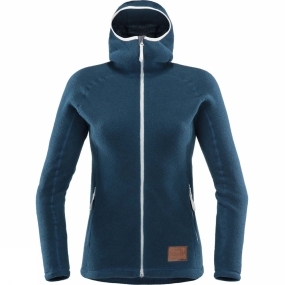 The Womens Micron Wool Hoodie from Haglof is a superfine Merino Wool Fleece is made from superfine mulesing-free merino wool that is all-natural and biodegradable. The all-wool content makes it unbeatably warm and inherently anti-odour. It is a classic piece, which is slightly upsized to allow natural shrinkage. As a bonus, it will not contribute to any microplastics release into our oceans!